Canal Street was considered the border of a new city, and its potential site for a canal ultimately spawned the street’s name. Understanding the development of Canal Street (at 170 feet, 6 inches the widest business district street in the country) means understanding the development of New Orleans specifically, its business and garden districts, once called the American Quarter, and the French Quarter, which Canal Street divides. 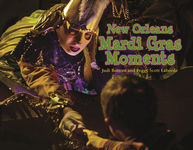 Fifteen chapters document the evolution of this multifaceted street, including Mardi Gras, the cemeteries, shopping, entertainment, railways, the Mississippi River, social issues, streetcars, hotels, Christmas, and more. 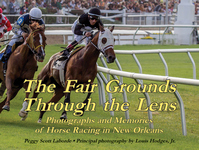 Vintage and contemporary photographs make this book a necessity for historians, visitors, and nostalgic former or current residents. Peggy Scott Laborde has been the senior producer and host of WYES-TV, New Orleans’ PBS affiliate, since 1987. 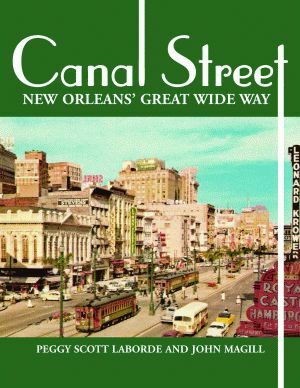 Canal Street: New Orleans’ Great Wide Way was inspired by a documentary that Ms. Laborde produced and narrated. The documentary aired nationally on the Travel Channel. John T. Magill currently serves as The Historic New Orleans Collection curator and head of both research services and the reading room at Williams Research Center. He lectures regularly about various aspects of New Orleans life and history, including the Civil War, Mardi Gras, urban growth, and neighborhood histories.